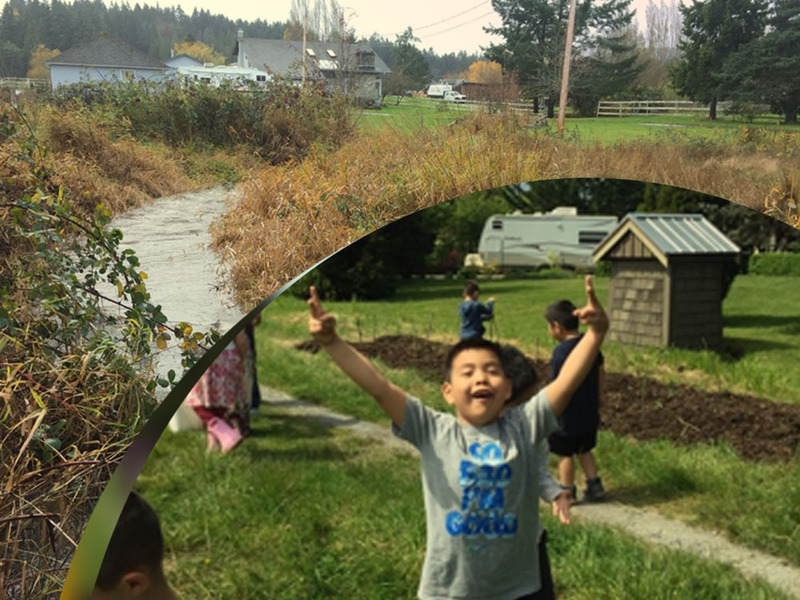 Reclaiming ȾIKEL, is an eco-cultural restoration project for a band operated school located in WSÁNEĆ, a First Nations community just north of Victoria B.C. Canada. The SENĆOŦEN word ȾIKEL can be translated to “bog” but as a place name, it encompassed a main wetland of WSÁNEĆ, the homeland of the WSÁNEĆ people. Prior to colonization, it was said to be a bountiful area for collecting foods, medicines and materials. One of the plants that would have flourished here is SX̱ ELE,IȽĆ (Pacific Willow), a traditionally important plant for WSÁNEĆ people; the inner bark was used as the primary fibre for the making of reef-nets. SXEOLE is the name of the reef-net technology used by WSÁNEĆ people to catch salmon in the straits of the Salish Sea. This ½ acre teaching/learning site will host children from pre-school through high school and will actively reclaim the land through restoration efforts.